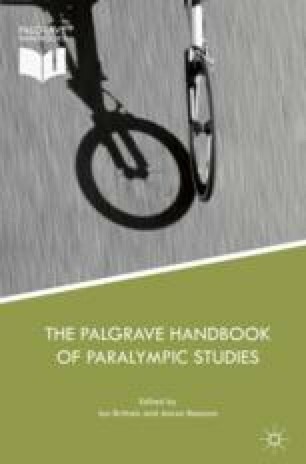 In this chapter, we consider certain aspects of the philosophy of the Paralympic Movement by examining the four stated values of the International Paralympic Committee, namely, courage, determination, equality and inspiration. We then challenge these core values by reference to a number of prominent ethical issues in Paralympic sport. These issues include doping; autonomic dysreflexia (or “boosting”); botox injections; prosthetic technology; eligibility and classification; access to, and distribution of, resources; and elective amputation. Finally, we endeavour to offer a tentative definition of “Paralympism” based on the discussion and interrelation between ethics and Paralympic values. Kelly, Tom. 2014. The Daily Mail, June 22. http://www.dailymail.co.uk/news/article-2665341/Win-bust-Tennis-star-breast-reduction-surgery-help-game-number-three-seed-Wimbledon.html. Accessed 12 December 2016.